It's time for another Papertrey Ink Blog Hop! I keep meaning to participate in the blog hops each month, but apparently the week of the 25th tends to be a busy one for me. I managed to squeeze in some time Tuesday night for this challenge. Isn't it a fun one! For ideas: birthday card seemed like the obvious choice as well. I was kind of all over the place when I started crafting for this challenge. At first, I was going to use the ice cream cone from Love Songs, but I really wanted to use something that wasn't retired. And as I was looking through my stash, I realized that the Colorful Treats set was the perfect set for this inspiration piece! So I started off with the ice cream cone, stamping it and colouring it with Copics. And I liked it, but I just couldn't decide how I wanted to use it on the project with the other colours I had picked out. So I started over! I stamped the ice cream cone once more onto watercolour paper, heat embossed it with white and used the PTI colours I had picked out to paint it. I loved the look a bit more than the Copics version. But I still had the same problem- what was the rest of the card going to look like. I started to play around with smooshing- I used Berry Sorbet and Sweet Blush and then when dry, I gold embossed the dots from Good Times over top. Once again, even though I liked how it looked, I just couldn't make it work with the ice cream cone. So.... back to looking through the stash. Finally I came up with something that worked! I used the Noted: Scalloped Vertical A2 set to finish off the card. I used the larger stitched rectangle piece to cut out some Berry Sorbet. I used the card base scalloped piece on white. Next I stamped two of the greetings from the Colorful Treats set onto the Berry Sorbet and heat embossed those in white. I adhered the Berry Sorbet panel to the card base, and then, last minute, I decided, I needed to add some tone on tone stamping. So since I had already glued it down- I placed several post it notes on the white base to protect it from the ink and stamped a few ice cream cones in Berry Sorbet. Finally, I was ready to add the coloured cone, which I did using foam tape. The very last step was adding a few sequins. So yeah... I was kind of all over the place with the process, but that's just the way it is sometimes. If you stuck with me and read all that, thanks! If you're here just for the pics too, that's okay! Thanks for stopping by! I look forward to seeing others take on the challenge! Oh Natasha, your cone looks good enough to eat! Beautiful coloring! Gorgeous card! Delicious! 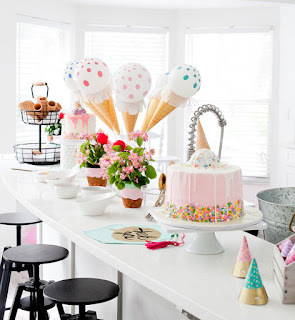 The ice cream cone image is perfect for this inspiration piece! What a yummy and beautiful card Natasha! I love that confetti on the cone ! Aha! We think alike...wasn’t it fun coloring all those sprinkles?! Great job! Loved reading your process. Your card is so beautiful. That ice cream cone is truly excellent. Love your card! So bright and fun. Love that ice cream cone and scalloped card base. Natasha, this came out wonderful! I love the Berry Sorbet background. Great take inspiration photo. You really put a lot of thought into your card. oh what a yummy design!!! perfect take on the inspiration photo!! What a fun card! I was wishing I had an ice cream cone image to play with when I first saw the inspiration piece. It's a perfect fit! This is fantastic, Natasha! Love this! Totally festive & beautiful! Love the tone on tone stamping in the background! Such a fun, colorful card! 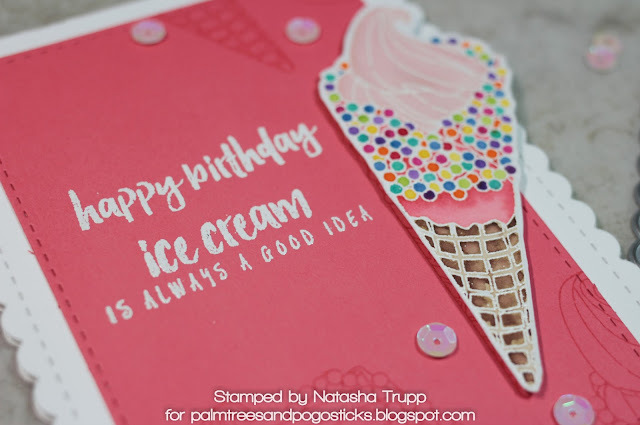 I used the same ice cream cone image on my card, too! Great minds think alike! 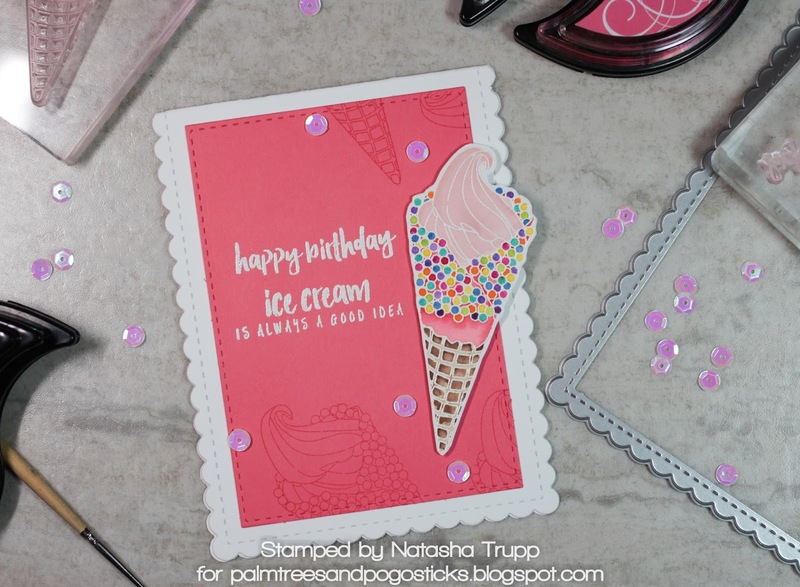 Love the watercolored and sprinkle covered cone, Natasha! Love ice cream cones, Natasha, but never saw one as yummy as yours. Great card! Gorgeous work! Your attention to detail is spot on! Thanks for sharing. Such a fun card! 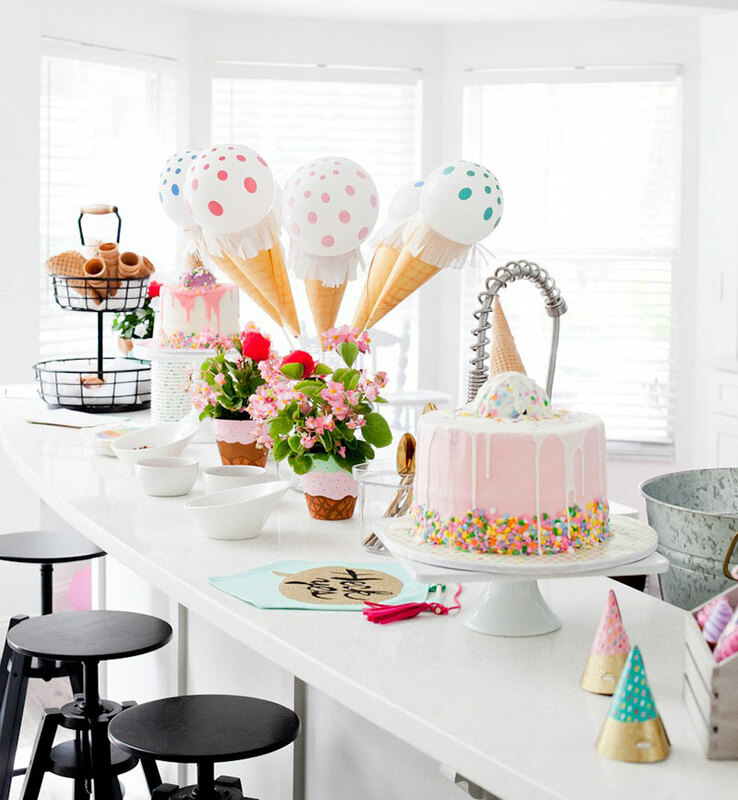 Love the ice cream cone! Great take on the challenge!